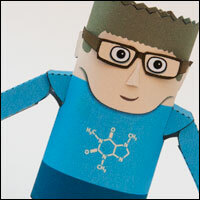 069 -Newsletter – 21st May 2011 – All Sorts of New Stuff! 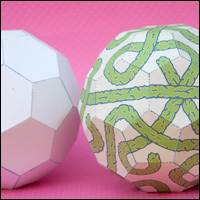 Based on the Paper Globe model, the paper sphere uses a new and improved way to join together the two half of the truncated icosahedron. 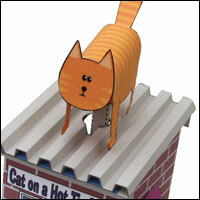 Just like a cat on a hot tin roof, turn the handle and the cat leaps energetically from side to side. Oh – ah -ew! Hot Tin Roof is free for members to download. 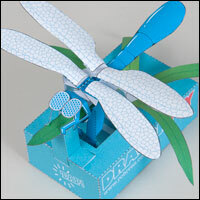 A simple but attractive box for you to download, decorate and construct. 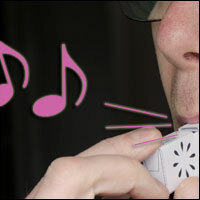 A real novelty in paper engineering, a simple box shaped whistle that produces two distinct notes. 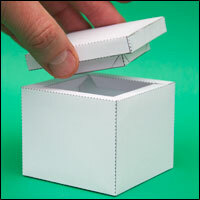 The pitch is changed simply by touching the sides of the box.